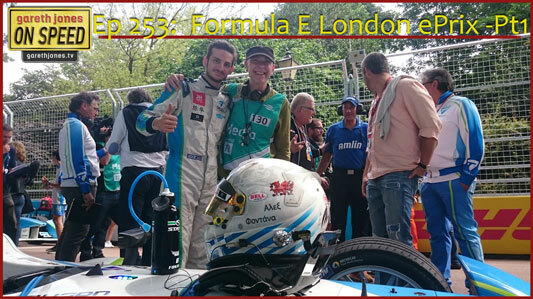 #253 Formula E. Part 1 of our exclusive coverage of the first London ePrix. The sound and speed of FE cars, is it enough? Gareth interviews Alex Fontana, and his boss Jarno Trulli and catches up with his old A1GP buddies Salvador Duran and Karun Chandhok. Our coverage of the first ever London ePrix continues in the next eisode of Gareth Jones On Speed.